Metropolis was in 1927 the first full-length sci-fi movie ever made. At the time, this enormous production was the most expensive German movie ever, with 36.000 extras en 500 miniature skyscrapers on set. Shortly after the first screenings the film was shortened, without approval of director Fritz Lang, for release abroad. More than a quarter of the original film was cut, and until 2008 considered lost forever when a museum in Argentina found 25 minutes of material. After careful restoration of this material a new version of Metropolis and its soundtrack was released in 2010. The original soundtrack by Gottfried Huppertz was partially written during the recording of the film and thus is an integral part of Metropolis’ atmosphere. The original sheet music was preserved for the most part and after reconstruction of crucial importance in the restoration of the film. 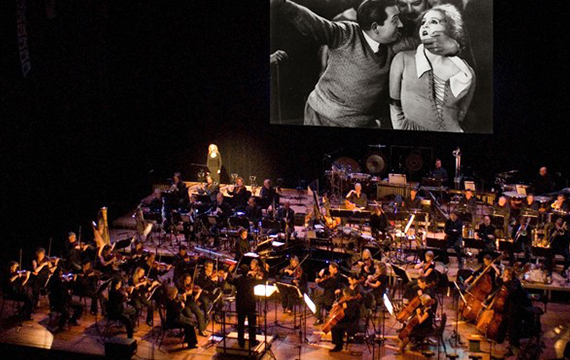 The sci-fi classic is being shown on a big screen behind the orchestra in its most complete version (95%) from 2010. Metropolis is set in the year 2026 and tells the tale of a futuristic city in which society has been divided into two rigid groups: one of planners or thinkers, who live in luxury on the surface of Earth, and another of workers who live underground toiling to sustain the lives of the privileged up above. An uprising seems inevitable.